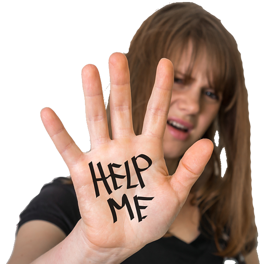 Help Me! 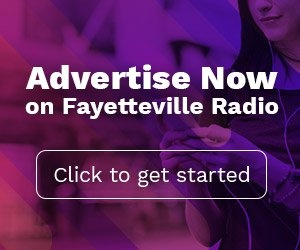 Which Fayetteville Radio Station Should I Advertise On? Most Fayetteville small business owners, though, could not afford to advertise on all stations. So, how can they decide which are the right ones? It will be determined by marketing objective. Branding objectives focus on convincing consumers to believe something about a product or business.For instance, a financial planner in Hope Mills might want adults approaching retirement to regard her firm’s annuity plans as the safest way to ensure worry-free living. With a well-defined marketing objective, a business owner can be certain every element of an advertising campaign on Fayetteville radio is designed to deliver the right message to the right audience at the right time. Second: Identify The Best Radio Stations. Fayetteville radio listeners are fiercely loyal to their favorite stations. Despite numerous listening options, the typical listener tunes-in to about 2 stations each week. So, to create a successful advertising campaign, a business owner must identify those radio stations that attract the target consumers defined by their marketing objective. For instance, a Fort Bragg Pizza restaurant might want to target the 33,048 moms in Fayetteville who work full-time. It takes just 3 local radio stations to reach to the majority of these moms. This information, alone, allows the restaurant owner to narrow the choice of Fayetteville radio stations from 28 to 3. The question now becomes, which combination of these 3 stations should ultimately be chosen for the ad campaign? The answer is determined by the type of marketing objective. A branding objective involves creating or modifying a consumer’s belief. To do this successfully requires the repetition and reinforcement of the business owner’s marketing message. This repetition is referred to as frequency. Achieving the necessary frequency can be accomplished by scheduling commercials on as few as one or two Fayetteville radio stations over a longer time frame. A promotional objective, on the other hand, requires the largest number of target consumers to be exposed to a marketing message. This is referred to as reach. If a certain number of consumers in Fayetteville are ready to buy, then obtaining the greatest reach possible among those listeners will increase the odds of creating a sale. Achieving the necessary reach can be accomplished by advertising on multiple Fayetteville radio stations generally over a shorter time frame. Note, each additional radio station that is purchased expands the overall reach of the campaign. The owner of the pizza restaurant, in our example, has a promotional objective: to encourage working moms to order take-out on their way home from work tonight. Because this type of objective requires reach, then budget permitting, the campaign should include the three radio stations that comprise the majority of the target consumers. When a North Carolina small business owner considers advertising on Fayetteville radio, the information needed to make an informed station selection can be secured from a reputable radio account executive. This information includes reach and frequency data from Nielsen; local listener profiles from Scarborough; and consumer insights from Gfk MRI.